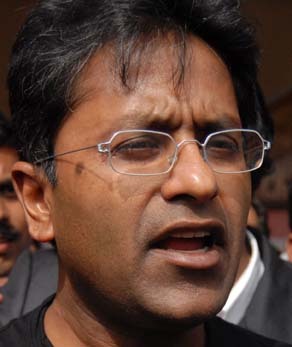 26 Apr : Controversial and high-profile Lalit Modi was on Sunday night suspended as IPL Commissioner for alleged “individual misdemeanours” capping fortnight-long dramatic developments that opened a can of worms in the administration of the popular cricket league. The BCCI sent the suspension letter via email after the IPL final and the presentation ceremony were over just after Sunday midnight. On a day of fast-paced developments, the BCCI acted swiftly to suspend him giving 15 days time to explain why disciplinary action should not be taken against him after he made a surprise announcement that he would participate and chair the meeting of the IPL’s Governing Council on Monday morning. Controversy’s favourite child commended and condemned in equal measure, IPL chief Lalit Modi rose meteorically but his fall was no less spectacular as he was booted out of the very empire he created. The man, who became the youngest BCCI vice President in 2005, was known for his brash style of functioning that often rubbed people the wrong way and probably hastened his fall once damning revelations of financial irregularities in the IPL came to fore. The 46-year-old was just another businessman before becoming arguably the most influential authority in Indian cricket with his brain child, the Indian Premier League, that became a cash cow for the BCCI within three years of its inception. But one look at his past before he became the all-powerful IPL Chairman and Commissioner is enough to know that Modi led an eventful life.